The corporate income tax is a tax on corporate profits. Of the 50 states, 45 (including New Mexico) have some version of a corporate income tax (CIT). 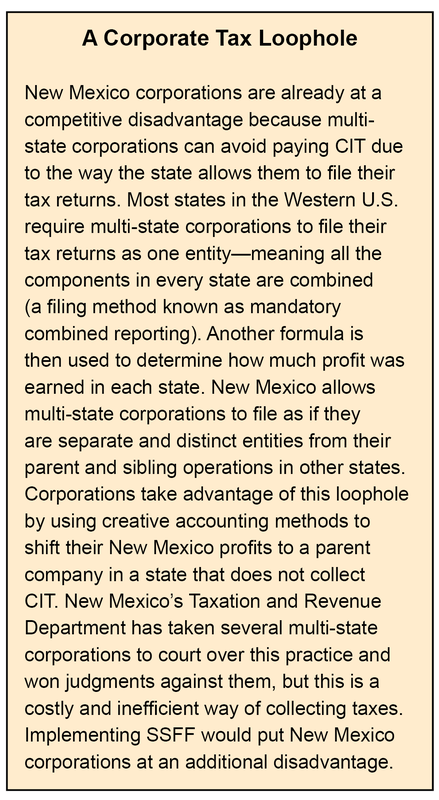 Corporations that operate in multiple states can also be subject to state CIT, but each state can tax only the share of a corporation’s profits that is attributable to activity in that state. Apportionment formulas are used to determine a multi-state corporation’s profitability in any given state. Three different formulas are widely used: the three factor formula, the double-weighted sales factor formula, and the single sales factor formula. New Mexico currently uses the double-weighted sales factor formula for manufacturers and the three-factor formula for all other multi-state corporations. Proposals to shift to the single sales factor formula (SSFF) are currently being considered in New Mexico. Proponents say it will improve the state’s ‘business climate.’ However, there is no evidence to support that the use of SSFF leads to significant growth in employment in the two industries that benefit the most from it.1 In fact, the decline in revenue is likely to lead to job losses, as the state would forfeit as much as half of the CIT revenue it now collects. There is also no clear relationship between SSFF and corporate location decisions.2 What’s more, shifting to the SSFF would definitely result in corporate ‘winners’ and ‘losers.’ The extraction industries (oil and natural gas) and manufacturing would be the big winners because their taxes would decrease the most. Multi-state retailers and some corporations that do business solely in New Mexico would be the big losers. Retailers would pay more and mining and manufacturing corporations that do business only in New Mexico will receive no benefit, which will put them at a competitive disadvantage with the corporations that will benefit. A three-factor formula has been the most commonly used method of allocating corporate profits by state since the 1950s and it is currently used in New Mexico for multi-state corporations that are not manufacturers. This formula distributes the net income of multi-state corporations on the basis of three factors: a corporation’s payroll, property, and sales within that state. These factors take into account the benefits that a corporation is receiving from a state’s government—this is called the ‘benefit principle.’ These benefits include public education, infrastructure such as roads and highways, the legal system, police and fire protection, etc. Each of the three factors—payroll, property (land, plant, and equipment), and sales—is weighted equally. They are added together and the result is divided by three. For example, if a multi-state corporation has 20 percent of its payroll, 30 percent of its property, and 10 percent of its sales in New Mexico, 20 percent of the corporation’s net profit would be taxed by New Mexico. The double-weighted sales factor is the formula for CIT used by New Mexico for manufacturing. 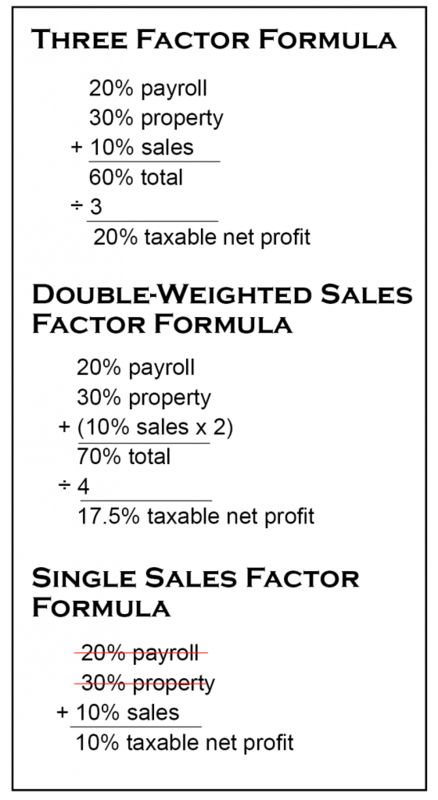 This formula takes into account the same three factors—property, payroll and sales (and, therefore, includes the benefit principle). The difference is that the sales factor is doubled and the total is divided by four instead of three. Using the same example, the double-weighted sales factor drops the final number from 20 percent to 17.5 percent. 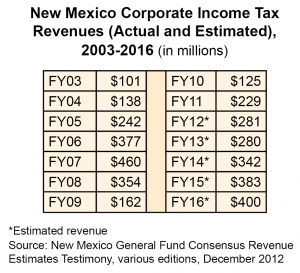 Thus, New Mexico would tax just 17.5 percent of the corporation’s net profit. The SSFF bases the distribution of profits only on the corporation’s sales in that state. Using the same example, just 10 percent of the corporation’s net profit would be taxed instead of 20 percent under the three-factor formula or 17.5 percent under the double-weighted sales factor. By not taking into account a corporation’s payroll and property, SSFF ignores the benefit principle. All corporations rely upon public services in order to do business. They would have no payroll without an educated workforce. Their physical properties require protection by police and firefighters, as well as access to water, sewage, and other infrastructure. They also need roads and highways for moving goods and customers, and a legal system for enforcing contracts. The benefit principle holds that because businesses rely on these benefits, they should help pay for the cost of providing them. Not only are these public services necessary for businesses, but the quality of these benefits—an educated workforce in particular—are among the factors companies consider when they are deciding where to locate a new facility. A state that short-changes its investments in public structures in order to lure corporations may, in fact, end up making itself less attractive to business, especially those with high paying jobs requiring a well-educated workforce. Tax cuts mean a loss of revenue and that can lead to a loss of jobs in state government services such as health care, education, and public safety. Changing the formula for calculating CIT to a single sales factor would cause a significant loss of funding for the state—as much as half of its annual CIT revenue. It’s difficult to say just how much money that would be from year to year, as CIT revenues have been unstable recently due to the impact of energy prices and the great recession on corporate profits. For example, revenues from the CIT were $125 million in FY10 but had been up to $460 million a few years earlier. (See the table below for CIT revenues and estimates from 2003 to 2016.) As the economy continues to recover, corporate profits—and the CIT revenues they generate—will bounce back. But if the state implements SSFF, it will collect as much as half of what it otherwise would have—meaning as little as $62.5 million in FY10. Unless that lost revenue is collected from other sources, less funding will be available for important programs like education, public safety, and health care, which would mean more job losses for teachers, police officers, and first responders. There would be ‘winners’ and ‘losers’ from implementing the SSFF in New Mexico. Winners would be industries that have large amounts of personnel and property in New Mexico, while losers would be corporations that have significant proportions of their sales in New Mexico. 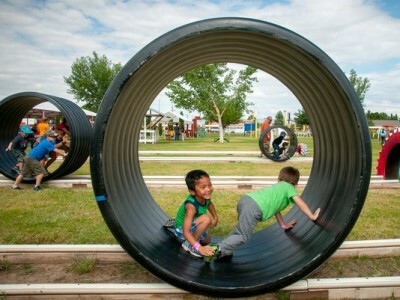 The two winners in New Mexico are clearly the mineral extraction and manufacturing sectors, because they are the two industries with the largest components of payroll and property in New Mexico and most of their sales are to out-of-state entities. The retail sector would be the biggest loser, because sales are the largest component of this industry. SSFF would also disadvantage New Mexico corporations that operate only in New Mexico because apportionment of profits is only available to corporations that are operating in more than one state. 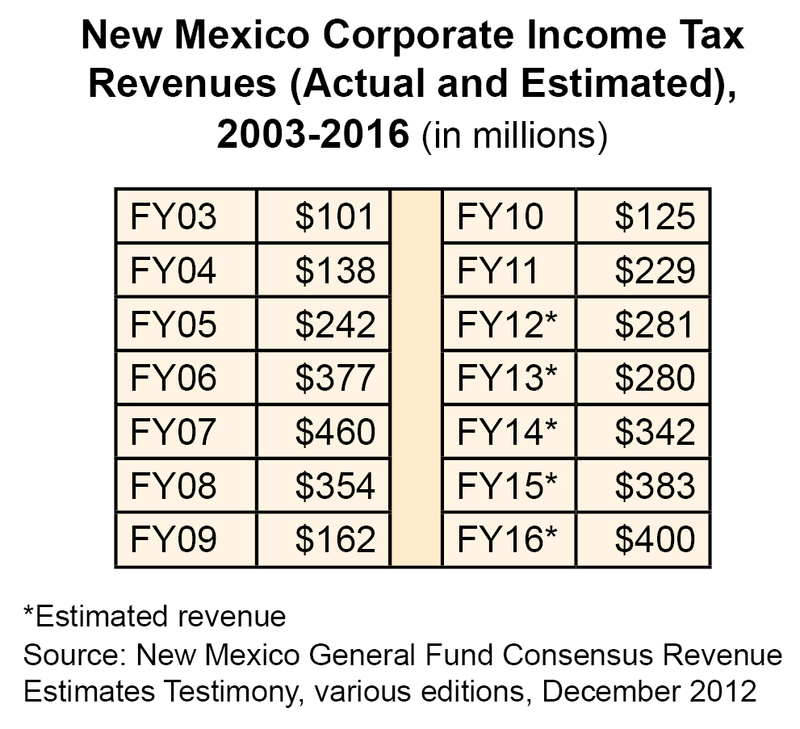 Many multi-state corporations that are in competition with New Mexico corporations would see their CIT payments decrease while corporations operating only in New Mexico would receive no benefit from SSFF. The mining industry would be a big winner, as would manufacturing. In FY10, one-quarter of total CIT revenues came from mining, and one-third came from manufacturing. Only 6 percent of CIT revenues came from retail, and they would not benefit.3 It is unlikely that eliminating the CIT collected from oil and natural gas producers would increase employment in mining. Mining is more dependent on the presence and the price of oil and natural gas. Manufacturing and mining accounted for more than half of CIT revenue in FY10, according to the state Taxation and Revenue Department (TRD). This revenue would evaporate under SSFF. Implementing the single sales factor formula in New Mexico will not accomplish its stated goal of improving the business climate. There is no clear relationship between SSFF and manufacturing employment, and the evidence that corporate location decisions are linked to SSFF is also insubstantial. Instead, SSFF will be expensive, costing the state as much as half of its annual corporate income tax revenue, which would no doubt result in job losses in state government services such as health care, education, and public safety. SSFF moves the state away from the benefit principle: namely, there should be a relationship between the benefits a corporation receives from state government and the taxes they pay to support those benefits. Finally, SSFF will shift responsibility for corporate income taxes away from the manufacturing and mining sectors and onto the retail sector and manufacturing corporations that operate solely in New Mexico, putting New Mexico-owned corporations at a further competitive disadvantage. The author(s) wish to thank Michael Mazerov and the Center on Budget and Policy Priorities for their technical assistance with this report.